Disney and Pixar’s latest animated film, Coco, is a wonderful celebration of life, death, and everything in between. The movie also couldn’t be landing in theaters at a better time, considering the downright darkness happening in the world right now. Are you looking for the feel good (and heavy cry) movie of the holiday season? It’s Coco. But Coco wasn’t necessarily made for families, per say. 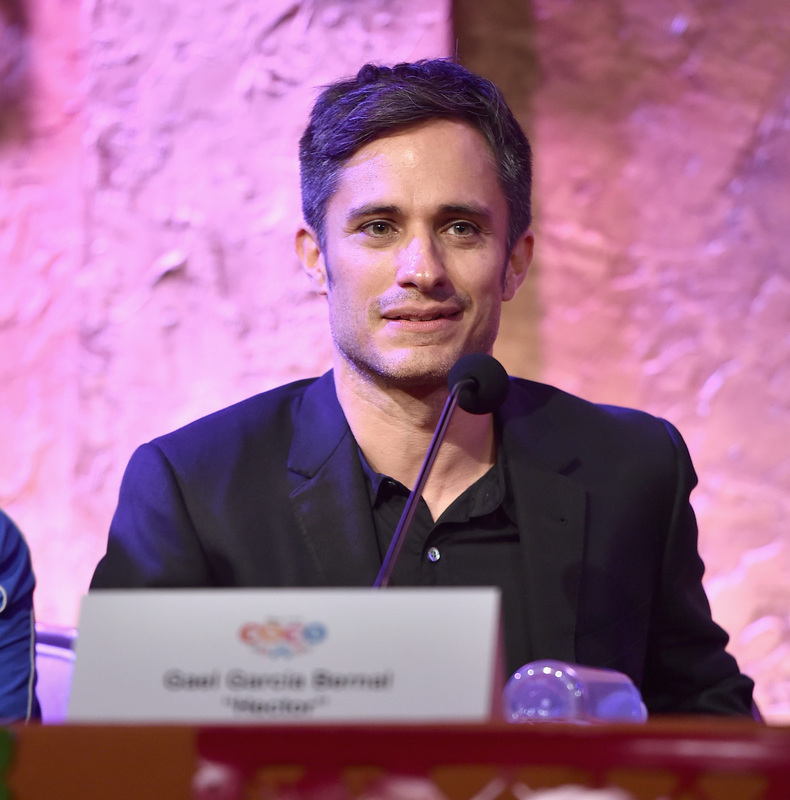 Rather, as star Gael García Bernal — who plays skeleton trickster, Hector — explained during a Coco press conference, the story is for Latinx children living through this tumultuous time. "I've been saying this a lot, but we have to stress it over and over again, but if I have to do a very personal dedication of this film, it's for the kids, the Latinx kids," Bernal told the crowd. "In the [current] narrative it's been said that their parents, or grandparents, or great-grandparents are rapists, murders, drug traffickers. * These kids are being born in a huge moment of conflict, and they have to fight against that lie. It's very complicated to argue against the lie. And this film is going to give kids a way to feel confident of where they come from, and of where their parents and their great grandparents came from. [They're going] to know that they come from a very sophisticated culture." *Actual, unfounded statements our current sitting president has made. Coco also serves as a reminder of the rich history and heritage of Mexican culture — with an awareness that many Mexican children who grew up in the United States have blended their ancestors’ traditions with American ones. Coco wants us to celebrate the rich Latinx history for what it is, both past and present. "[With Coco, we] have the possibility to always have access to that [culture], and [kids] can come up with new answers to what's needed in life, and with humanity, we need that right now. This film opens up a discussion, and it's a a beautiful reflection on death and a celebration on life." Are you crying just reading that? Well, better start stocking up on tissues, because Coco is going to make you bawl. The movie hits theaters on November 22nd.